This week's 50% Discount Friday item is the Leopard Tee. 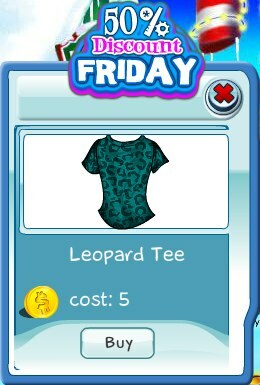 It's a tee with a dark green and black leopard print. The discount is ends today, so get one now!